As junior golfers grow, so does the need to ensure they are properly fit to their equipment. 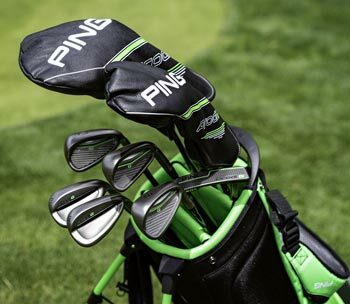 The PING Prodi G “Get Golf Growing” Program is engineered with that in mind, offering a one-time, no-charge club adjustment service. Think of it as buying two sets for the cost of one. ​For complete information on the program, please download the info sheet below. If you would like to bring your junior in for a fitting, please contact Head PGA Professional and Clubfitter Monica Stratton for additional information.